Discover the mastery of the Lingnan School of painting in China over the last 200 years. The Lingnan region, literally ‘south of the Nanling Mountains’, traditionally refers to the Cantonese speaking area of south China, including present-day Guangdong province and Hong Kong. This region has long been the frontier between China and the outside world. 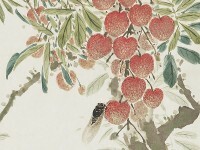 The flourishing of the Lingnan School of painting in the early 20th century is associated with modernization and the experimental mixing of foreign styles and techniques. Meanwhile, some artists focused on preserving and developing traditional Chinese painting. This exhibition from the museum’s collection displays works by Lingnan masters of different tendencies, including Gao Jianfu, Deng Fen and Li Yanshan, as well as those by successive generations of their pupils. Paintings displayed here reveal the communication between Lingnan artists and transitions in Lingnan painting over the last 200 years. Artists of the Lingnan School. Eastern Art Online presents an online version of Lingnan Masters on special display in the Ashmolean's Chinese Paintings Gallery. It enables visitors to browse and search all exhibition objects and their high-quality zoomable images, and provide continued access to exhibition content after the display has ended. Chinese Paintings Gallery - Lingnan Masters exhibition detail. 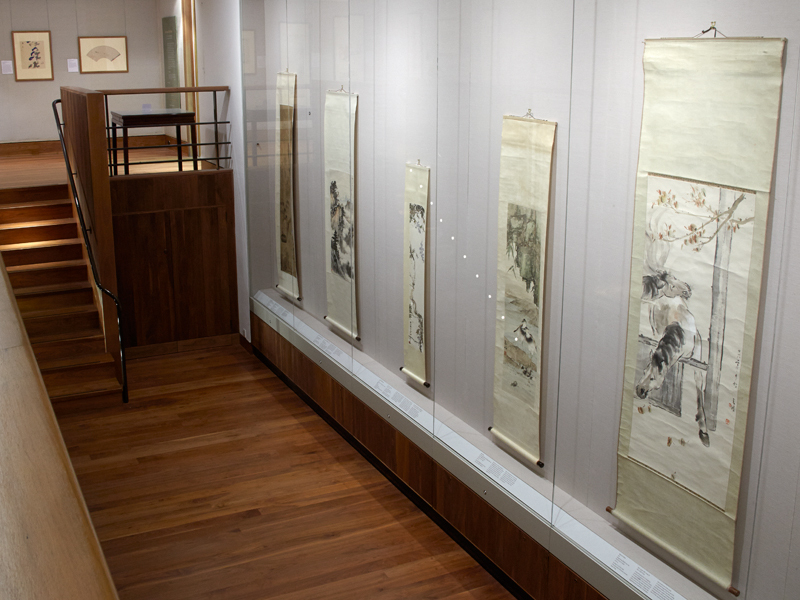 Chinese Paintings Gallery - Lingnan Masters exhibition hanging scrolls case. 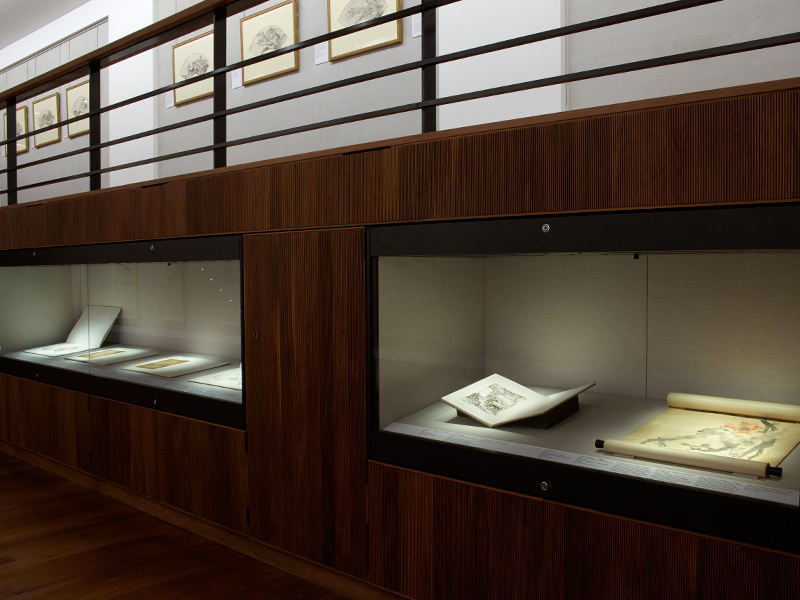 Chinese Paintings Gallery - Lingnan Masters exhibition case. 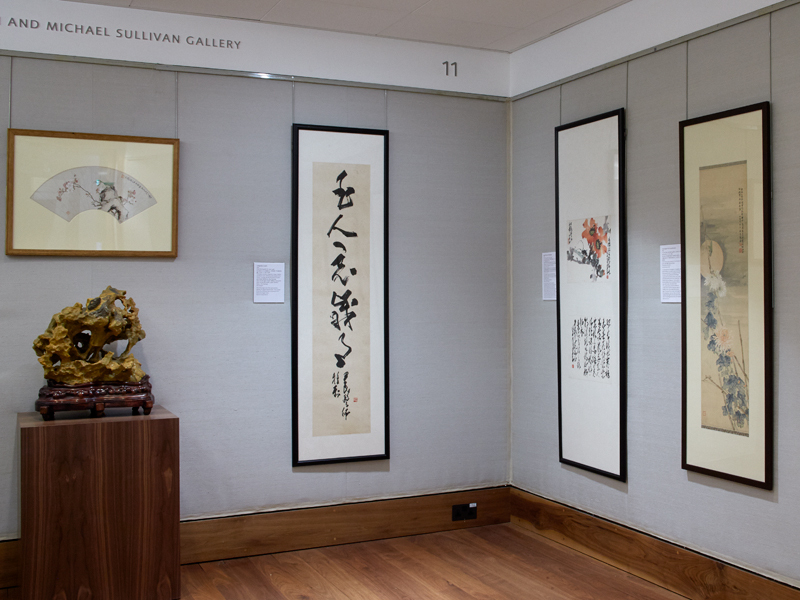 A companion exhibition to celebrate the 50th anniversary of the Chinese University of Hong Kong and its links with Oxford is also currently on display at their Art Museum. This exhibition - Two Masters, Two Generations, and One Vision for Modern Chinese Painting: paintings by Gao Jianfu (1879-1951) and Lui Shou-kwan (1919-1975) in the Chinese University of Hong Kong and the University of Oxford - includes another 25 Lingnan paintings from the Ashmolean's Collection and will be on display until 15th May 2014.